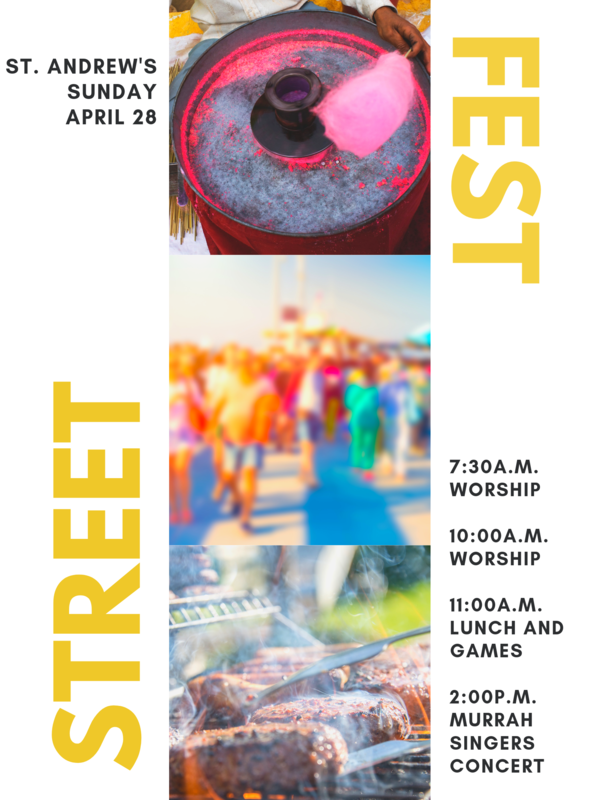 Mark your calendar for Sunday, April 8 for our Easter Street Fest. There will be one service at 10:00 am (There will be a 7:30 a.m. service) followed by lunch, games, an obstacle course for the kids and loads of fun! We will have hamburgers, hot dogs, baked beans, coleslaw, chips, cotton candy, and snow cones! Soft drinks and water will be provided. Please bring a dessert to share with others. Dress casual! $8/adult, $4/child, $25 family max.